Changes to Skoda's biggest-selling model include a new look and more technology, to tempt buyers away from the Vauxhall Astra and Ford Focus. A revised version of the Skoda Octavia will go on sale later in January, featuring a new look and improved technology for both the hatchback and estate models. The most obvious changes are to the car’s styling. 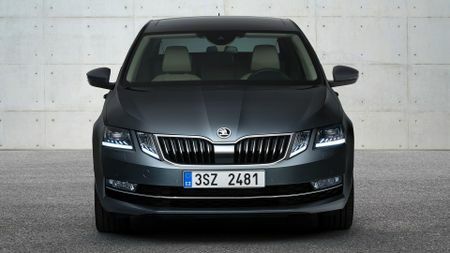 At the front, the headlights feature full-LED technology (with adaptive front headlights optional), while the Skoda badge sits in a more prominent position, much like the front of the Kodiaq SUV. There’s a wider radiator grille, wider air inlets, and a redesigned bumper – making everything a bit more aggressive. There’s also a new range of alloy wheels. At the back, there aren’t too many obvious changes, but the LED tail lights are available in two variants. Inside, meanwhile, buyers of the revised Octavia (a rival for the Vauxhall Astra and Ford Focus) can choose from several new infotainment systems. All except the standard ‘Swing’ music system feature a glass design, and the top-of-the-range Columbus navigation system comes with a 9.2-inch touch-screen display. That comes with a Wi-Fi hotspot, and Phonebox inductive smartphone charging. Apple CarPlay, Android Auto, MirrorLink and SmartGate are all standard, too, to enable drivers to pair their phones easily. 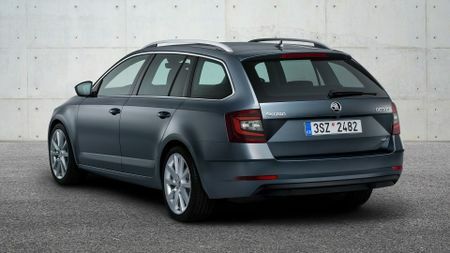 There are also several other new features, including a customisable key (which allows drivers to save their own vehicle settings) and a heated steering wheel, while the Octavia estate features a removable torch in the boot, as well as the option of an electrically operated tailgate. Subtle ambient lighting in ten different colours is available as an optional extra. Compared to the previous-generation Octavia, Skoda has added even more driver assistance systems to the revised model, including trailer assistant, which will steer automatically when the vehicle is towing and reversing slowly. Predictive pedestrian protection is added to the Front Assist system, and thanks to the rear radar, the Blind Spot Detection and Rear Traffic Alert systems ensure safe lane changes and also help while reversing out of a parking space. Space wise, the hatchback's boot is 590 litres (1,580 litres with the seats folded down), while the estate offers 610 litres, or 1,740 when the seats are folded. The revised line-up includes a total of four engines. The 1.0- and 1.4-litre petrol engines are joined by 1.6- and 2.0-litre diesel units, with power outputs from 113 to 138bhp, and buyers can also specify the optional Dynamic Chassis Control system, which lets the driver choose between Comfort, Normal and Sport modes. While all variants will come with a six-speed manual gearbox as standard, six or seven speed DSG transmissions will also be available for most of the engines. 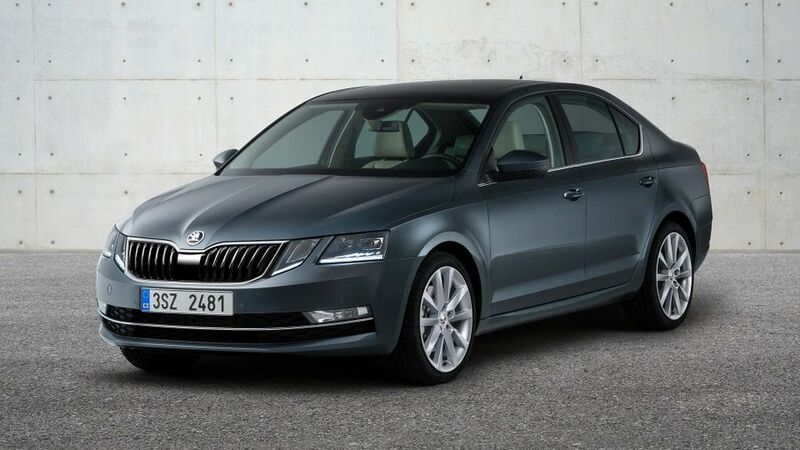 The new Octavia will be available with six different trim levels, from the basic S models up to the hot vRS version, which was revealed in Vienna ahead of the Vienna Motor Show. UK pricing and specs have yet to be confirmed, but it is expected that the 2017 Octavia will only cost around £500 more than the outgoing model, which starts at just under £17,000. First deliveries in the UK are expected around March or April. Interested in buying a Skoda Octavia?